Ph.D., Asst. Director, Biotechnology Division. 1. Biography: Sridhar Kottakota, Ph.D. is currently working as Asst. Director in Biotechnology division of Lupin limited, India for the past 7.0 years. He comes with more than 23 years of industrial experience in the field of Cell culture based bioprocess development. His areas of expertise are both early and late stage process development of Biosimilars, Biologics and Human Vaccines. 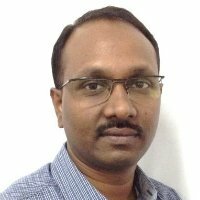 Prior to joining Lupin, he was involved with Bio production Division of GIBCO/ Life Technologies/ Thermo Fisher Scientific, Bangalore. He was also associated with Shantha Biotechnics (Now a division of Sanofi), Cadila Pharmaceuticals and Sun Pharmaceuticals. Dr. Sridhar Kottakota has done his Ph. D from Andhra University, India.